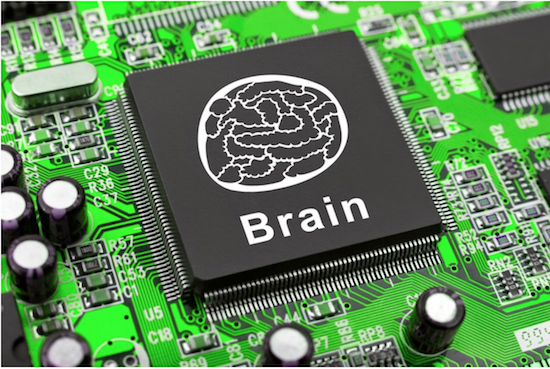 Artificial intelligence is the next big thing on the tech horizon. Governments who are in need of speeding up public services are introducing AI into the functioning of government. This post builds off the previous article with examples from around the world. In London, the local government of Enfield has a new employee by the name Amelia, from IPSoft. This chatbot is the first put in use by the government. The council serves 330,000 residents and is one of the largest in the London boroughs. The council estimates it receives 55,000 calls and 100,000 website visits a month and plans for Amelia to absorb some of this demand. Among many things, the robot will help residents with various tasks, such as completing application forms and helping people navigate the council website. It is believed that in the future, an intelligent algorithm will be able to assist with more complex services like social care. In Scotland, the National Health Service (NHS) along with Royal Infirmary of Edinburgh and Victoria are taking the help of an Edinburgh based healthcare analytic company to provide patients with AI-driven health monitors. This help can determine when the patient's health is deteriorating and the patients who need further care. With the public healthcare system stretched beyond limits, AI can be the system which can prioritize according to the need of the patients. The British police are using AI to identify criminals through CCTV footage. The department said that even a glimpse of an ear on CCTV could rebuild the entire picture of the suspect. This trend of AI is continuing into predictive policing as well. Criminals can be ruled out or confirmed for particular cases based on the analysis of data from previous crimes. Japan has partnered with universities in the United States to complement their comparative lack in machine learning. Japan is mostly known for its robotic capabilities, largely driven by the government need to care for the elderly. Robots, for example, are being used to assist the elderly in walking and bathing. In the United Kingdom, Google's "DeepMind partnered with the Moorfield's eye hospital (an NHS hospital) to use powers of the AI to increase the early diagnosis of degenerative eye conditions. In New Zealand, AI is in existing systems to integrate services around big events in citizens' lives, like birth, marriage, retirement, and death. Its first service, SmartStart, launched in December 2016, gives new parents access to services and information around the birth of their child. New Zealand also plans to use AI for real-time capture and verification of digital identity. The government is trying to use AI to confirm someone's identity in real-time. Currently, New Zealand's digital identity platform, RealMe, runs alongside the passport system as an additional identification to access public services and personal data. It plans to converge all of these different identities into a single one that will give people secure access to their health records and driving licenses. In Western Australia, the police have tested a smart police car which scans all vehicles around it, reporting suspicious activities and wanted license plates straight to the main control center without any human intervention. In Hong Kong, computer systems are making decisions that used to be made by public service managers. Hong Kong's mass transit railway has its maintenance schedule run by an AI system that oversees 10,000 staff, working on 2,600 repairs every week. Previously, in-house meetings with department heads used to chart-out the schedule for the weekly plan, but now the schedule is generated automatically via AI. The city of Columbus, Ohio, just won the United States Department of Transportation $50 million smart city challenge. It will use self-driving vehicles to offer transport between neighborhoods where unemployment is three times higher than the national average, and the nearest job center. Singapore partnered with Microsoft to create chatbots that will deliver certain public services. Dubai is going to launch AI services through the office named the Smart Dubai Office (SDO). It seeks to replace call centers and helps Dubai residents choose schools for their children with cognitive computing. China's National Development and Reform Commission, a government organization tasked with the growth and the restructuring of the country's economy, is putting capital into a deep learning lab that will be lead by Baidu (China's leading search engine company). The lab would not have any physical presence, but instead will be a "digital network of researchers" working on problems in their respective fields. In Singapore, the National Research Foundation (NRF) will be investing up to $150 million into a new national program aimed at boosting Singapore's artificial intelligence (AI) capabilities over five years. Its priority is to address major challenges that affect both society and industry. Of course, there is a long way to go before AI becomes commonplace in the government. Fiscal constraints, lack of skilled talent, and the fear that artificial intelligence will strip away the jobs will slow adoption. But adoption will happen. The benefits are too great. Marian Cook is a solution principal for Slalom Consulting, as well as the head facilitator for MIT's blockchain certification course and a strategic advisor to the Chicago Blockchain Center. She was the chief strategy officer for Innovation and Technology for the State of Illinois, having moved from the private sector to public service in 2015.